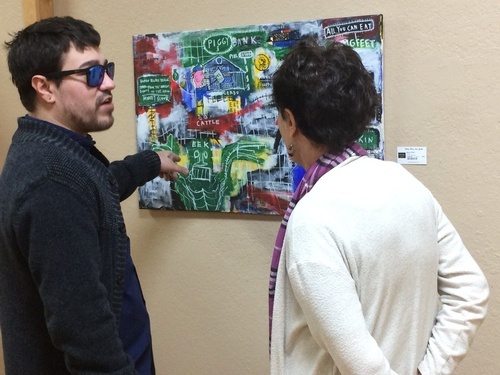 "How I See It" is the current exhibit in the Cultural Calendar Room at the Murphy Art Center. Works by S.J. Worsham, Jeoffrey William Vasquez, David Rabhan, Sarah Hembree, and Lynn Nolte will be on display through February 12th. The exhibit is open from 10 to 5, Mon-Sat until February 12th.